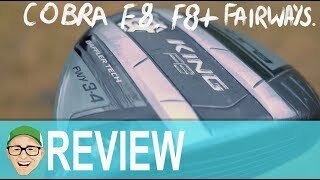 Cobra Golf King F8+ Fairway Wood – Smarter. Faster. More Forgiving. 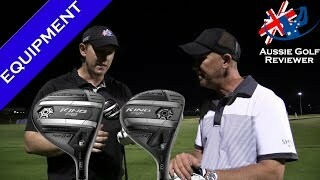 Baffler® Technology delivers maximum playability from all lies. Tour preferred shape for maximum workability. COBRA’s progressive Baffler® Rail design utlizes shallower or steeper rails depending on loft and angle of attack for improved versatility and forgiveness from any lie. A lighter 5-ply carbon fiber crown saves discretionary weight to move the CG lower and deeper, producing higher trajectories and increased forgiveness. 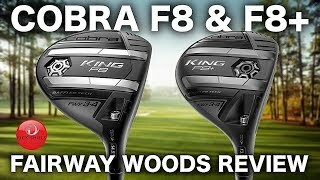 A fixed, interchangeable weight positioned in the front results in a lower, penetrating ball flight for more control and workability. A forged, variable thickness E9 stainless steel face maximizes flex for increased ball speeds and distance across all points of the face. 8 easily adjustable loft settings help you manage trajectory and fine-tune launch conditions to maximize distance while all new Smart Rail ™ Technology keeps the face square regardless of the loft setting.